Since 1985, Micro-Surgeon has been in the business of recovering data for businesses, organizations and individuals. There are two kinds of companies that perform data recovery. The first advertises themselves as data recovery "experts", but in reality use nothing more than off-the-shelf software to recover data from drives that have file-system damage or minimal physical damage. They offer data recovery as one of many entrees on their menu of general PC repair services. This level of data recovery can be performed by literally thousands of companies. We call this Level One capability. Frankly, you don't need us for this. The second kind of company is the one, like us, that has the capability to extract data in the presence of severe physical damage to the hard drive itself. 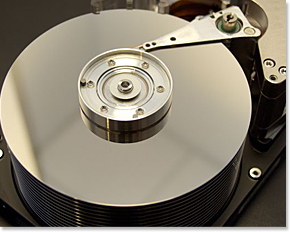 Data recovery is the only work they do and is not a sideline to any other repair business. We call this Level Two capability. Scenarios in which the drive clicks, or doesn't spin up, or makes repetitive seeking noises- in short, any situation in which the drive is not recognized at all by the PC's BIOS- indicate physical damage which requires the capabilities of Level Two companies. Only a fraction of the companies that advertise their services offer this level of recovery. Micro-Surgeon is at the forefront in this capability. We possess cutting edge technical resources that permit us to handle the most difficult cases of drive failure with an impressive success rate. We are continually upgrading our tools and specialized equipment to meet the needs of changing drive technologies that compress increasing amounts of data onto ever-smaller storage areas. Although there are some instances in which successful recovery is not possible, the great majority of cases submitted to us have happy endings. There is never a charge if we fail to recover the specific data that you have requested. All work proceeds with full customer approval before any charges are incurred. We are accessible after normal business hours to receive your emergency calls. We can recover data from hard disks -both desktop and notebook- as well as RAID arrays, CDs, SmartMedia™, CompactFlash™, MicroDrives™, and Memory Sticks™. Our rates are lower than those of the larger data recovery service providers and our turnaround times and customer support are unbeatable. If Micro Surgeon can't recover your data then no one can. Period. Please read through the pages on this website before making your data recovery decision. We're confident that you'll decide there's no point in going anywhere else.